Clarkson and the Hamster would have you believe that if you don’t spend six figures on your car and keep your right boot planted, push the needle past three digits at all times, then you’re probably not much of a driver, it won’t be much of a challenge and you’re not going to have any driving fun. Top Gear, nowadays, mostly seems to consist of the two of them hooning round the TG track in the latest European exotica, shredding tyres in clouds of smoke. Well, there’s that and the infantile pub banter with Capt. Slow in the studio segments. Oh well, it seems to suit the audience profile. Last Saturday, I learned just how wrong this perception is. My friends at Cadence are putting together a course on limit handling, to furnish customers with the knowledge and understanding of just what their own cars are capable of and to explore the limits of both vehicle and driver capability. 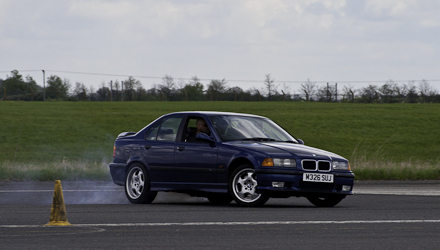 I went along to RAF Alconbury as a willing guinea pig to try out their proposed course, offer feedback on their training and test my own car-handling skills. 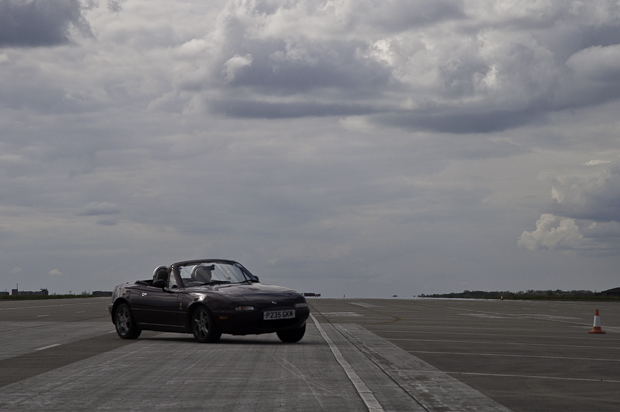 Rarely exceeding 50mph, we lurched and screeched across the runway as I attempted to get to come to terms with with tyres, tarmac and grip. From the sidelines it probably didn’t look much, but from behind the wheel the adrenaline was pumping. The world was a blur of sight, sound, smell and motion. It was exciting, challenging, scary and a real hoot – plus you get very useful insight into the limits of car performance. I fully intend to go back for more, should they start running the course. And the cars we used on the day? 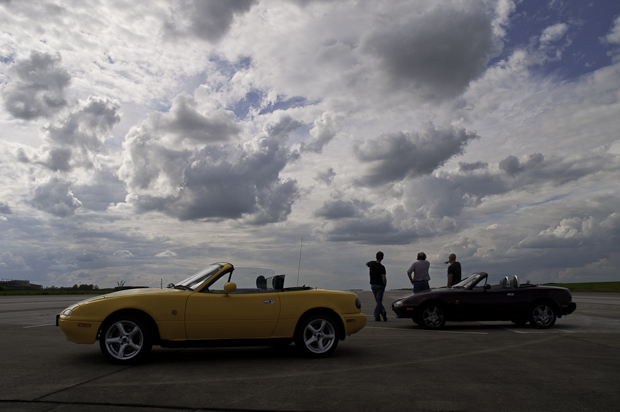 Two mark one Mazda MX-5s and a classic BMW M3. I”m still in considering buying a Leica M9, but there’s now some serious competition and all for about 50% of the price.